This training system provides a unique opportunity to understand how an A/C system is integrated into a HV vehicle. Including a fully operational high voltage A/C system that allows students to perform actual diagnostic and service tasks. 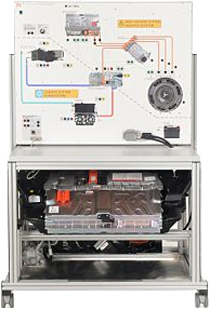 Also, included is a fully operational hybrid drive and system overview.